My San Gimignano Chianti tour combines a visit to the medieval Manhattan, wine tasting and a scenic drive through the gorgeous Tuscan countryside.. Traveling through Chianti is a feast for the eye and we’ll make stops to contemplate the countryside and take a photo or two. 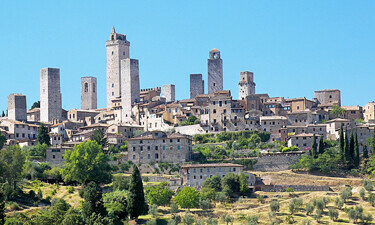 Then in the afternoon we move on to San Gimignano, a medieval town in a truly wonderful state of preservation and surely the best of all the Tuscan hill towns. It’s noted mainly for the 12th century towers that still dominate the skyline. 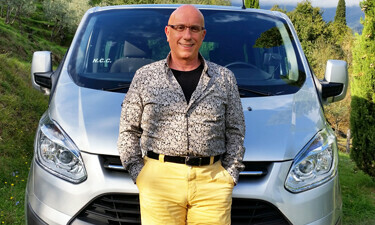 Departure from your accommodation for our San Gimignano Chianti tour is at 9.15 am and we arrive in the Tuscan countryside after forty minutes. We’ll drive leisurely and I’ll make stops in the most picturesque areas for photos and contemplating the scenery. Late morning we arrive at one of the top family wineries in Chianti and have a guided tour of the ancient underground cellars. 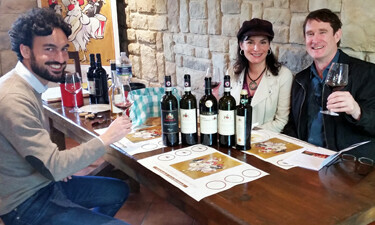 We proceed with a sit down tasting of their Chianti and Super Tuscan wines. We continue our travels through more splendid scenery and head towards San Gimingnano, the Manhattan of the 13th century. The town once boasted seventy two towers and today fourteen are left. We start our afternoon with a walk up the main street which leads to the town piazza, with its wonderfully preserved medieval stone buildings. The town has an atmosphere all of its own which you are sure to enjoy. You may like to visit the museum which takes you up the highest tower which has been restored to its original state. From here you’ll have great view over the rooftops. The gelato in the piazza is worth tasting too! If you enjoy walking, you may like to hike around the perimeter of the old town walls. You will find yourself out of the crowds in peaceful surroundings, shaded by cypress trees, and looking over breathtaking scenery. 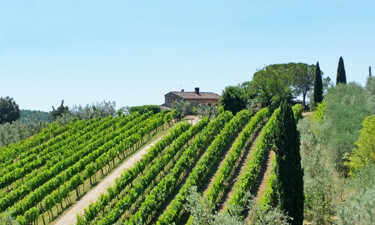 We conclude our San Gimignano Chianti tour around 03.30 pm and head back to Florence where we arrive at 04.45 pm. Please Note: by Italian law drivers are not allowed to do guiding of historical sites or museums. 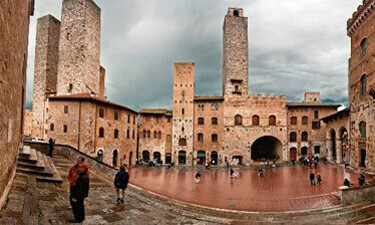 Therefore your visit to San Gimignano is done in free time.